Roundtree, Cheyenne. (2017, August 11). More than 250 Oregon residents list their gender as ‘X’ on licenses and ID cards after the state became the first to make ‘not specified’ an option. Mail Online. 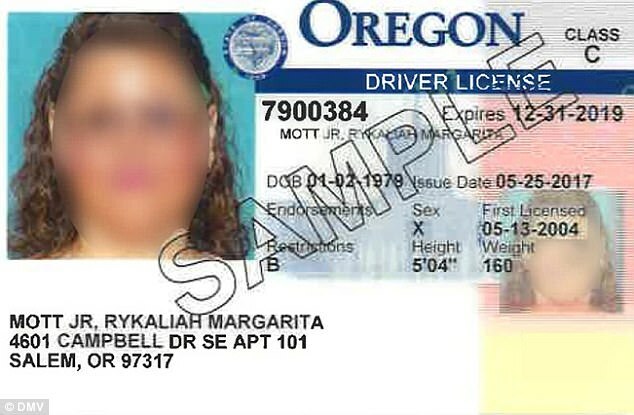 Retrieved from http://www.dailymail.co.uk/news/article-4782994/266-Oregon-residents-mark-X-gender-licenses.html. Bourne, Lisa. (2017, August 15). LGBT lawyers won’t help ‘non-binary’ man over ‘harmful’ transgender statements. LifeSiteNews.com. Retrieved from https://www.lifesitenews.com/news/non-binary-man-says-he-was-fired-by-lgbt-legal-group-for-statements-harming. Shupe, Jamie. (2017, July 22). You Can’t Feel Like a Girl: There’s No Such Thing as Feeling Like a Girl or Boy. YourthTransCriticalProfessionals.org. Retrieved from https://youthtranscriticalprofessionals.org/2017/07/22/you-cant-feel-like-a-girl-an-essay-by-jamie-shupe/.